Everyone loves a public holiday - and the Labour Day public holiday long weekend is extra special, thanks to Melbourne's Moomba festival! Moomba has been running in Melbourne since 1955, and included concerts by the Victorian Symphony Orchestra, tennis at Kooyong, a vintage car display and of course the famous Moomba parade - oh, and it ran for 15 days! 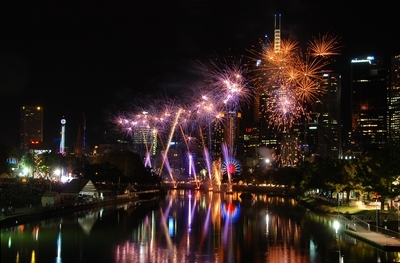 Flash forward 60 years: Moomba might only run for three days, but there is more happening than ever! Check out our top picks for heading to Moomba with the kids! The Kids Zone: Encompassing plenty of hands-on activities such as puppet-making and face painting as well as a circus workship, the Kids Zone will have your little ones entertained for hours. The Main Arena: Even wanted to learn how to drum - not just smack things? Now is your chance, with free drumming and percussion and dance workshops running at the Main Arena. This is where the fireworks will launch from too each night! The Skate Park: Sit back and watch the pros at work or join in a BMX or skateboarding workshop - the choice is yours. Riverfront: There's only one time of year you'll ever see anyone purposely entering the murky waters of the Yarra River - and that's Moomba! Check out the high-flying and smooth sailing ladies and gents as they perform a variety of water tricks, or catch a 6:30pm Disney film screening. Make sure not to miss the wild and wacky Birdman Rally, starting at 12pm on the Sunday! The Green: Sit back on the lucious lawn and soak up the tunes of some great young Aussie artists in this new area. White Night - For Kids!